Silver Sneakers at Valley Fitness! If 30 is the new 20, then something must be the new 30! Whether you’re 60, 70, or 80, it’s never too late to improve your physical fitness and feel like you have shaved a few years off of your age. 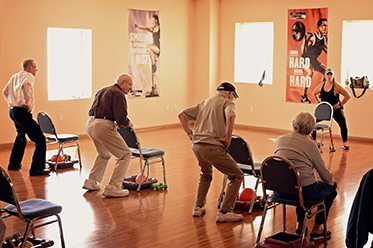 At Valley Fitness in Harrisonburg, we are dedicated to helping seniors stay healthy and active through our Silver Sneakers physical fitness program. It offers exercise that is specifically tailored toward improving range of motion, stability and overall fitness, and weight loss. Our fitness center is also a great way to meet others and have some fun staying active. You can also bring your friends out to add to the good time. 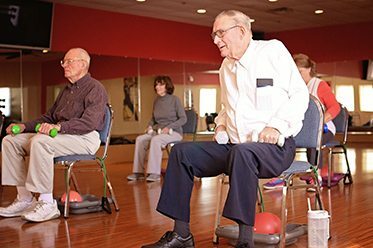 Going to the health club has never been so easy or productive for seniors, as this specially tailored program is the perfect way to stay young at heart – and in body!